We had wacky weather today. Rain and thunderstorms to sleet and thunder and then almost a blizzard and thunder. Now it's sunny and you can't even tell it ever did anything today but rain. 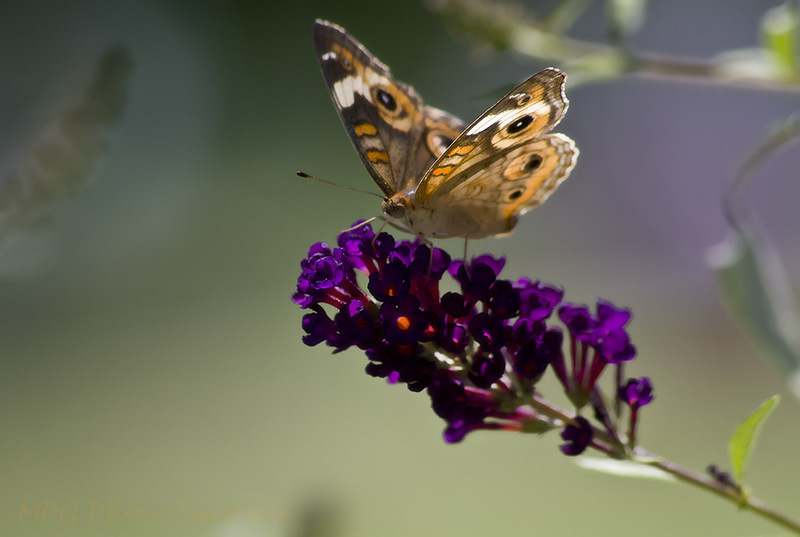 This is an image from this summer of a Buckeye butterfly on the Butterfly Bush or Buddelia.